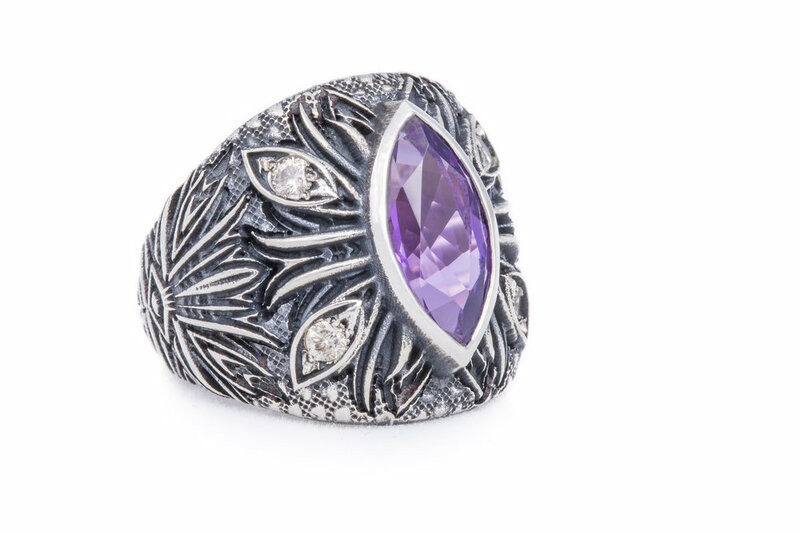 The dark beauty of Amethyst fuses with Blackened Sterling Silver Ring for a moody motif. The A'Donna collection embodies the Ancient Greek philosophy of prosperity, rebirth, and renewal. 2.47 total weight, Amethyst is 2.26 carats, intense purple eye clean. Diamonds are .21 carats total weight, champagne color and SI in clarity.